As I wander down Courtenay Place on a remarkably warm day for winter in New Zealand I feel a sense of pride and admiration because the people of Wellington really have our capital city sorted. Strolling through the city’s core reminds me of how incredibly important it is for a major centre to have a strong heartbeat. Coming from Christchurch this resonates pretty powerfully as its city centre is only now beginning to come back to life, five years after the devastating earthquake. What stands out about central Wellington is that it shines with diversity and possibility – this really is a people’s city. On Lambton Quay the suits stride confidently with speed and purpose leaving no time for slackers and procrastinators. There is an unspoken understanding that the business district must stick to schedule so it’s either join in at their pace or make an about turn to Cuba Street. Te Kouka Café on Willis Street is a great stop for top quality breakfasts, the staff are incredibly switched-on and it is the place to go if you want to fit in with the locals. They even provide a Low FODMAP menu. Cuba Street is home to the funky cafes, calm surroundings and talented creatives who prefer to take a more laid back approach to life. You can spend hours lost in the shelves of Pegasus Books down Left Bank or stop for some time out at one of many cafés to experience the reason why New Zealand has a reputation for the best coffee in the world. Plum Cafe has a great reputation and is an awesome place to meet some of Wellington’s most creative people as they take time out from the canvas and enjoy a fair trade coffee with paint covered fingertips. 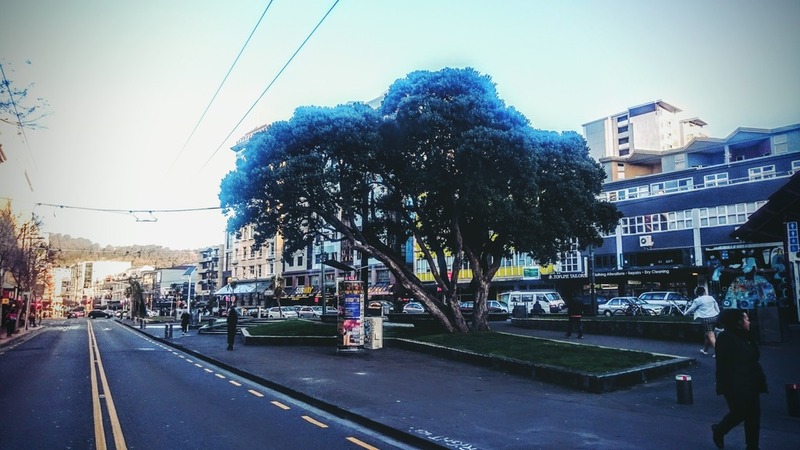 If dining out is more your style, then Courtenay Place and its surrounds offer one of the most diverse dining experiences in the world. Priced for the posh or the poor there are tastes from Italy to Istanbul and atmospheres that will take you from New Orleans to New Delhi. Bangalore Polo Club has an amazing atmosphere with stunning décor, brilliant service, pigeons for company, peanuts a plenty and very fine food. Take a detour down Allen Street and shop in the coolest kiwiana contemporary art and design stores, Kura Gallery and Ora Gallery and Café while you listen to the sounds of smooth blues echoing from upstairs at Orpheus New Orleans Cuisine. The waterfront screams family, fun and adventure. A walk from the famous Cake Tin sports stadium is always pleasant due to the beautiful harbour views and the perfectly situated bars that entice you inside along the way. Give your feet some well-earned time out by relaxing in the sun with a beer on a bean bag before heading for some interactive fun at Te Papa Museum. When the wonderful minds of the leaders, the innovators, the technical, the cultural, the smart and the creative all combine to achieve the same goal the results can be exceptional and in this case it’s one of the best cities to experience in the world. Wellington – you inspire me to want more, do more and be more – top marks for achieving exactly what a capital city should and for making us Kiwis exceptionally proud!